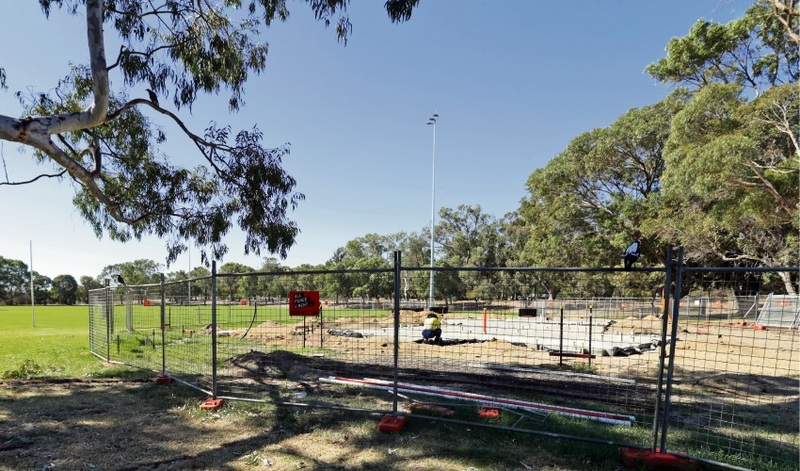 WORK has started on $1.65 million change rooms at Edgar Griffiths Park in Wanneroo. The sports amenities building at the park on Garden Park Drive will include change and store rooms, a kiosk, first aid room, umpire’s room and public toilets to replace the existing outdated toilet block. Wanneroo Junior Football Club has been a regular park user for many years and held some Sunday games there. “It is fantastic to see construction has started on the new clubrooms,” president Mick Willcocks said. “It is great to see an upgrade of the facilities take place, especially the addition of lighting. Wanneroo Mayor Tracey Roberts said the building aimed to cater for the City’s growing population and provide more recreational opportunities for local clubs. “The City of Wanneroo grows by 8000 residents each year, and as the population increases, so too does the number of clubs requiring suitable facilities for their players,” Mrs Roberts said. The project is scheduled for completion in October – visit www.wanneroo.wa.gov.au for more information. Other upgrades at the park have included extending the playing fields to accommodate senior sports and installation of floodlights.